Whistle while you work, it will drive everyone else crazy. Sure, it’s an old joke, but distracting, unwanted noise is an increasing problem for employees in modern open-concept offices. The design trend is to remove acoustic tiles from ceilings and rip out carpeting and dividing walls that traditionally dampened the sound of a busy office. About 70 per cent of U.S. offices now have low or no partitions between work spaces, according to the International Facility Management Association. 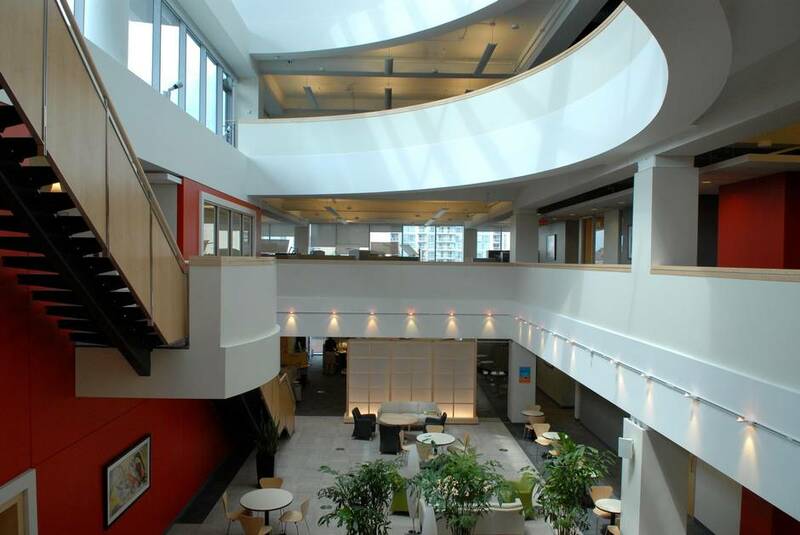 The proportion is nearly as large in Canadian offices, particularly in Toronto, where it’s common to strip down modern offices to resemble warehouse-like spaces. It’s reaching the point where many companies are going too far with open concept, said Matthew Simpson, vice-president of project management and design for the Toronto office of corporate real estate firm Savills Studley Canada (formerly Real Facilities Inc.), which specializes in tenant representation. “Recently on employee surveys acoustics are among the top things that people complain about. It’s being exacerbated by the trend to a more industrial look in design, with hard surfaces everywhere,” he noted. “We are sticking with the tried and true, rather than the open concept. Our primary goal is to have client confidentiality,” said Alan Di Sciullo, director of global real estate for Shearman & Sterling. The company engaged an acoustic engineer to ensure the new space will be as sound-proofed as possible. Building doors and windows will be framed tightly, for example, Mr. Di Sciullo said. As in recent office redesigns the firm has done in Washington and San Francisco, glass specially manufactured for soundproofing is being used. Double or triple-layer drywall has also been found to be a cost-effective way to absorb noise, experts say. 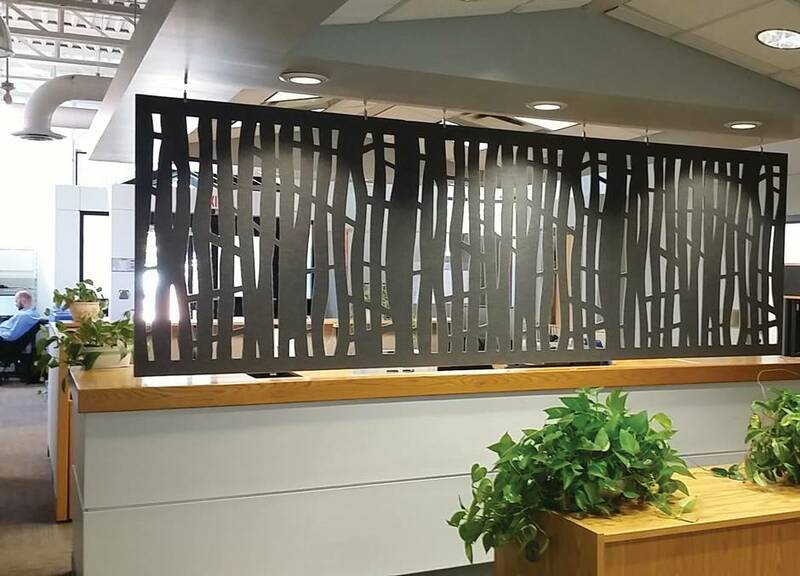 “We incorporate fabric panels in our designs, for our conference rooms.” There are many more sound attenuating materials on the market now as manufacturers are more conscious of the need for soundproofing, Mr. Di Sciullo said. Much of the office furniture his company sells now has acoustical features, such as high-backed chairs with upholstery that absorbs sound or couches capped with acoustic panels for lounge areas where employees can go to make phone calls. 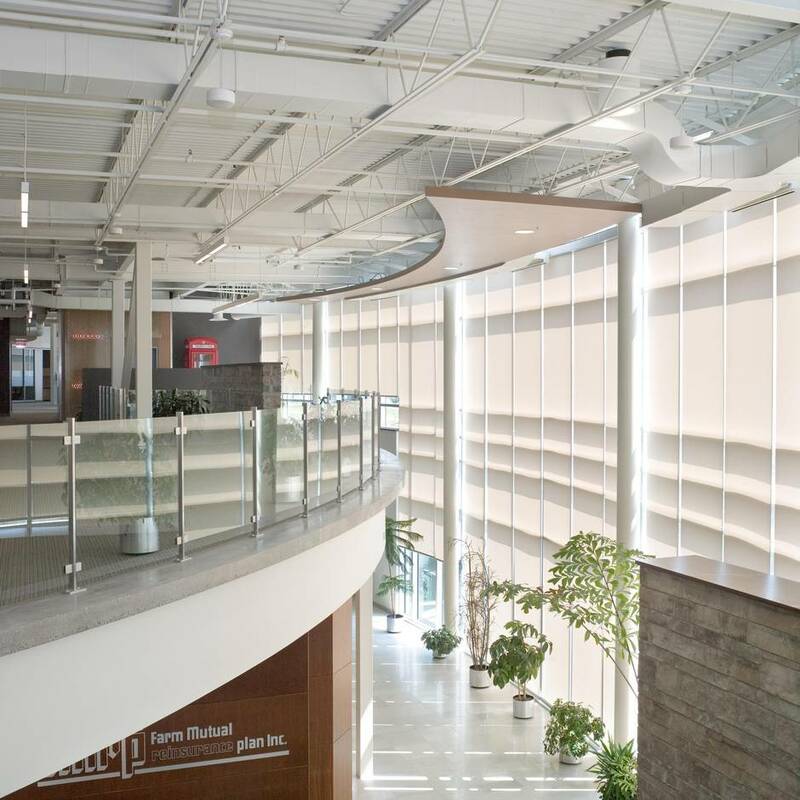 Upholstering walls in fabric-covered acoustical batts is a growing trend. Another is installing upholstered acoustical panels between work districts that are on tracks so they can be opened or closed and are also easy to relocate as office uses change, he said. But sound doesn’t travel just in straight lines, Mr. Cohen explained. In fact, an office that is too hushed can lead to people being distracted by listening too intently to co-workers’ conversations. While it may seem counterintuitive, some open-concept offices may actually need more sound, according to Niklas Moeller, vice-president of K.R. Moeller Associates Ltd., a Burlington, Ont., company that develops and manufactures LogiSon Acoustic Network sound masking technology. “While most people are familiar with the concepts of absorbing and blocking noise, fewer are aware of the role that sound itself plays in achieving effective acoustics,” he said. Activity-based workplace strategies are also becoming common. The idea is to create spaces in the office for tasks or activities rather than specific work spaces, he said. “We ask people what they do and how they work. Many people might be better doing different tasks and functions in different spaces or departments. For heads-down quiet work, you don’t want to be distracted by people on the phone; so as a designer you create an area away from cellphone discussions and group meetings. Then you create meeting areas that are enclosed, so people can gather and speak freely, as well as sound booths if they want to be alone and have a phone conversation,” Mr. Simpson said. Many people refer to sound masking systems as “white noise,” but this is a misnomer, according to Mr. Moeller of K.R. Moeller Associates. The original systems developed in the late 1960s and ’70s used white noise generators. While they were effective at masking, they were also irritating because of the unmodulated, hissing quality of this type of sound. A sound masking system consists of a series of electronic components and loudspeakers typically installed around a ceiling, and are adjusted to distribute a more natural background sound throughout the area. Sound masking is used to establish a more appropriate level. Noises that are below the new background sound level are covered up, while the impact of those above it is lessened because the degree of change between the baseline volume and any peaks is smaller. While adding sound to a space might run contrary to many people’s understanding of how to reduce noise, the background sound level in most indoor environments is too low. This allows occupants to clearly hear conversations and noises, even those generated at a distance or relatively low in volume. Levels are often so low that speech carries intelligibly over nine to 15 meters or more in open space, Mr. Moeller said. Conversations are either entirely masked or their intelligibility is reduced, increasing privacy. Because the frequency and severity of disruptions to occupants’ concentration is diminished, the makers of sound masking systems claim this can improve comfort and productivity.